Our Vision A Place to Be. The Place to Become… Our Mission Inform, Inspire, Imagine Our History When James Lawrence Nichols died in August 1895 he left $10,000 to Naperville, newly organized as a city, to establish a library, so that no child would be without books as he had been. Today there are 3 library buildings and people can download books, music and videos from wherever they can connect to the Internet. 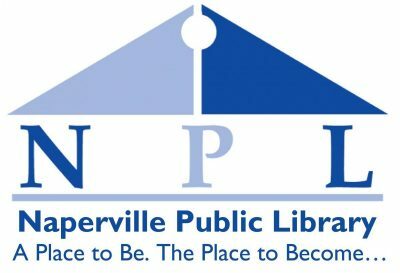 Read more of the short history of the Naperville Public Library. Board of Library Trustees The Board of Library Trustees of the City of Naperville meets the third Wednesday of each month, 7 p.m., in the Board Room of Nichols Library, 200 W. Jefferson Ave. Board meeting agendas and packets of current year are available online. Library Policies Naperville Public Library has adopted administrative policies and procedures regulating the organization and use of library materials, services and facilities. You can view the complete set of Library Policies online. Annual Report Every library in Illinois is required to submit an annual report to the State by the end of the month following the last day of the fiscal year. You can view a copy of the Illinois Public Library Annual Report (IPLAR) for Fiscal Short Year ending December 31, 2015. Strategic Plan Naperville Public Library is utilizing a strategic plan for 2016-2018 that includes four goals: We will maximize accessibility. We will be innovation leaders. We will serve our diverse population. We will convey the library’s value. For more information on the actions the library is taking to meet these goals, view a copy of our strategic plan. 2016-2018 strategic plan:Year one Year two Illinois Public Act 097-0609 (5 ILCS 120/7.3) requires that employers participating in the Illinois Municipal Retirement Fund post compensation information for designated employees as a part of the budget approval process. Information on total compensation packages equal to or exceeding $75,000 can be found here. Operating Budget Your can view the following:the Operating Budget for current Fiscal year the Current month financial statement. 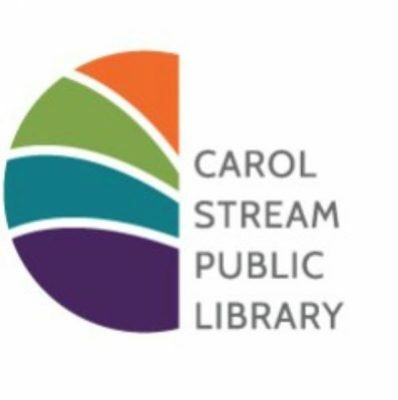 Located one-half mile west of Gary Avenue, the Carol Stream Public Library has been helping residents create, search, play and learn for over 50 years. The whole family is welcome at the Library. Preschoolers enjoy our story times, play area filled with toys, and digital storybooks. School-aged kids love our science experiments, library games, and visiting performers. Teens have a place to study, share their interests, and volunteer. We can help adults learn English as a second language, gain computer skills, take an exercise class, or discover their family history. Do you want quality entertainment without spending a fortune? We have new and popular DVDs, video games, magazines, books, and music. Prefer a tablet or e-reader? Take advantage of our e-books, e-magazines, audiobooks, and streaming music. Visitors can use our free WiFi and adult and kid-friendly computer labs. Friendly, inviting, innovative and exciting. 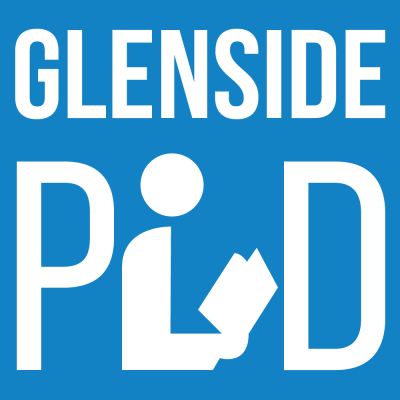 The Glenside Public Library District shares a world of imagination and information with patrons of all ages and cultures. Open your world with the Glenside Public Library District. Here you can access thousands of resources to help inspire and enrich your path towards education and discovery. Our 35,000-square-foot building offers a single floor of resources and entertainment and is equipped with separate Adult, Teen and Children’s spaces, Study & Meeting Rooms, complimentary Wi-Fi, public access computers, low-cost copying and free faxing services. Because libraries are for everyone, we offer events and classes for patrons of all ages and interests: Children: Crafts, movies, STEAM activities, storytimes, concerts and much more enhance literacy skills and get children excited about the world of learning. Teens: Crafting, technology camps, contests, video gaming and drawing programs are just a few of the opportunities exclusively available to teens. Adults: With everything from fitness courses and arts and crafts to genealogy, English as a second language and cooking classes, adults can find materials and activities they’re sure to love here. 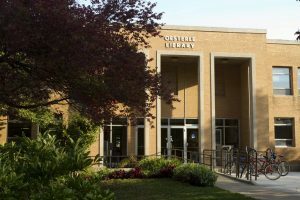 Library Cards are available free of charge to residents, business and property owners and educators who live within the boundaries of the Glenside Public Library District. Lisle Library District is located 25 miles west of Chicago in the western suburbs of DuPage County. 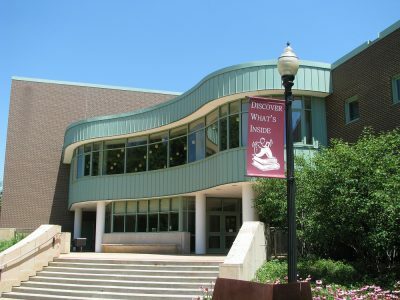 Serving the village of Lisle and a portion of unincorporated Naperville, Lisle Library District circulates more than 465,000 items borrowed by patrons each year. 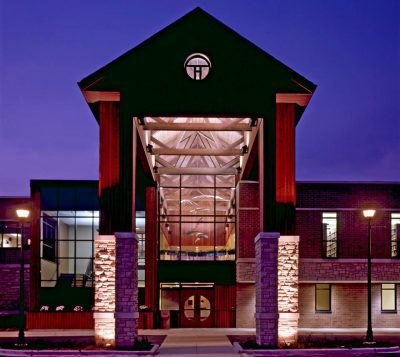 The Lisle Library District reaches over 26,000 patrons with events, programming and classes, and contains a rich collection of resources, audio-visual items, and technology and digital materials. It is constantly evolving to meet the dynamic needs of patrons, and serves as a place to research, study, experience cultural programming, grow in knowledge and gather as a community. 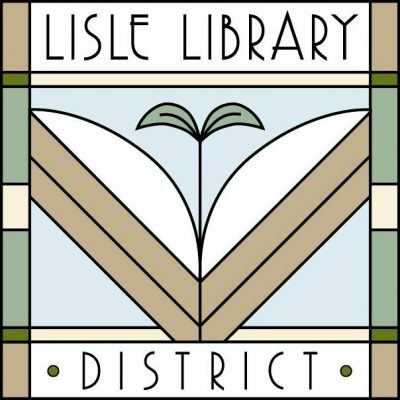 Established in 1965, the mission of Lisle Library District is to provide the highest level of service, programming and materials that enrich, educate and empower the community. The gallery in Oesterle Library exhibits work from students, regional professional artsits, and traveling collections. 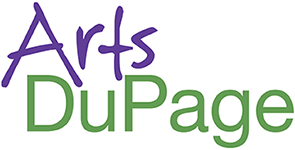 The space can exhibit a variety of art forms and serves to educate and enrich our students and the Naperville community and beyond. Most exhibits are free and open to the public. 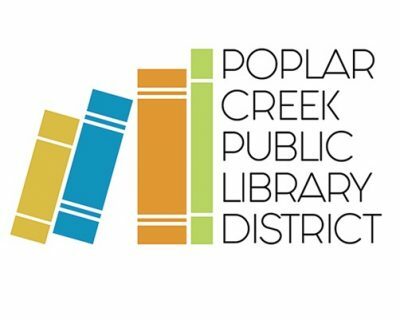 The Poplar Creek Public Library District is located in Streamwood, Illinois and serves a population of over 66,000 residents from Streamwood, Hanover Park, Elgin and a small portion of Bartlett and Schaumburg. The District also includes the Sonya Crawshaw Branch located in Hanover Park. Trees. Not a forest of them. Nor a parkway. Or a backyard shelter. But a cathedral. Trees that humble you with their grandeur. Trees that inspire you with their grace. Trees that restore you with their beauty. Trees that take you to a place you’ve never seen before. And…it’s brilliant. Help amplify the efforts of The Morton Arboretum…be a champion of trees! The mission of The Morton Arboretum is to collect and study trees, shrubs, and other plants from around the world, to display them across naturally beautiful landscapes for people to study and enjoy, and to learn how to grow them in ways that enhance our environment. Our goal is to encourage the planting and conservation of trees and other plants for a greener, healthier, and more beautiful world. The Villa Park Public Library is a vital part of the community. Our building is located at 305 S. Ardmore, near the heart of Villa Park. We offer physical materials and electronic materials, as well as public computers with internet access, printers, and copiers. Library cards are available for free to Villa Park residents. The Library also provides many additional services. Our dedicated staff work hard to follow the mission and vision of the library, increase the quality and circulation of materials, and provide all our patrons with excellent resources. Check out the latest news, look for jobs at the library, or learn more about our history. The library is governed by a Board of Trustees. 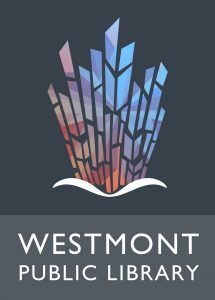 The Board determines library policies. Mission Statement The Villa Park Public Library builds, connects, and partners with our community to encourage exploration and discovery. The Library nurtures this growth through education, literacy, technology, and fun. Vision Statement The Library will provide and promote a diverse assortment of cultural, educational, and recreational services to a continually changing community. The Library will have a facility to accommodate these services as well as expanding collections and evolving technologies. 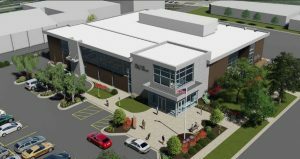 The Library will provide well-compensated, educated, and motivated staff members who aspire to the highest level of customer service and ethical standards. To fulfill the Library’s mission, the Library will also develop strong relationships with community volunteers and organizations. History In the 1950s, the library was housed in 1,000 square feet in the Community Building and was essentially a volunteer library filled with donated materials. Ten years later, the library closed due to a lack of volunteers and funding. 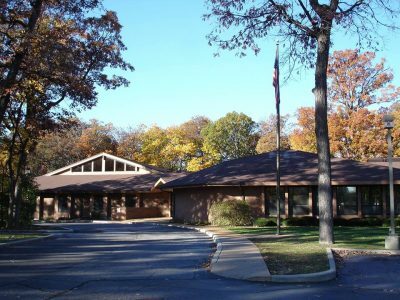 The Warrenville Public Library District was formed by a referendum held in February 1979 with the citizens approving a 15-cent rate for library services. In 1986, voters approved another 15-cent tax rate increase to build and operate a 10,000 square foot facility on Stafford Place. In September of 2003, a large addition and renovation project which tripled the size of the facility was completed. The building was made possible by the City of Warrenville TIF funds. The Warrenville Public Library District is a member of the Reaching Across Illinois Library System (RAILS). Mission It is the mission of the Warrenville Public Library District to collect, organize and make available the representative records of humanity’s actions, concerns and aspirations. It exists for the common good to support a literate and informed citizenry. Wheaton Public Library’s new Arts and Cultural Center is a gallery and exhibit space that promotes local artists and arts organizations in the community. We have two walls in a part of the building with lots of foot traffic and is near Cafe on the Park, a popular destination. We also have three display cases of various sizes which can house collections or sculpture that can be used for a month. Our Arts and Culture Center area is also an exhibit space, which can house small to moderately sized exhibits. We do not allow artists to directly sell their work or put prices on their pieces. However, artists’ contact information and short biography hangs in the gallery for persons interested in buying work. We do not charge a fee for display. All library district residents will have access to library materials and programs to encourage literacy and the joy of reading; to promote lifelong learning; and to experience a sense of community in a welcoming environment.